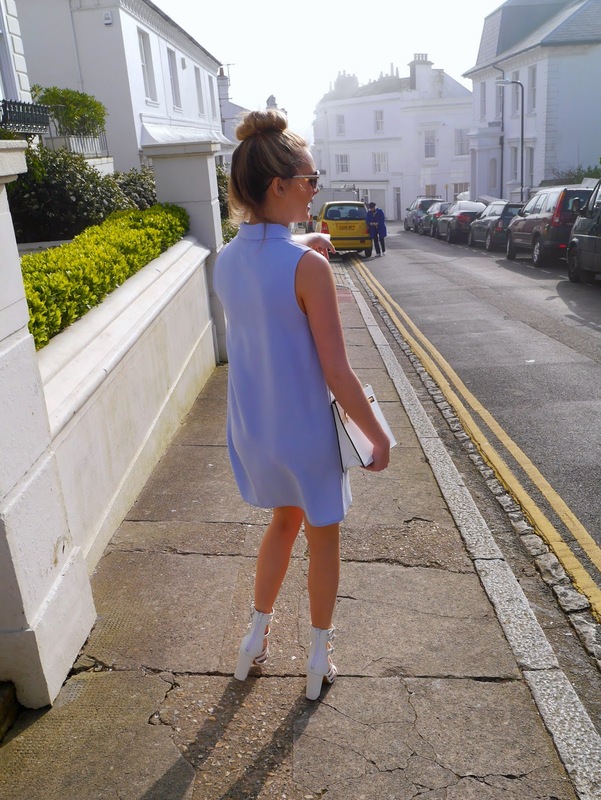 Spring has nearly sprung and the sun has been shining here in Brighton (a rare occurrence), so what better opportunity to buy a pastel coloured dress. I love this time of year. Spring to me is all about pastel and neutral colours, a time of transitioning from winter layers to, well, a few less layers! I teamed this blue biker dress with all white accessories – mid heeled sandals, thick framed sunglasses and a bold zipped clutch. 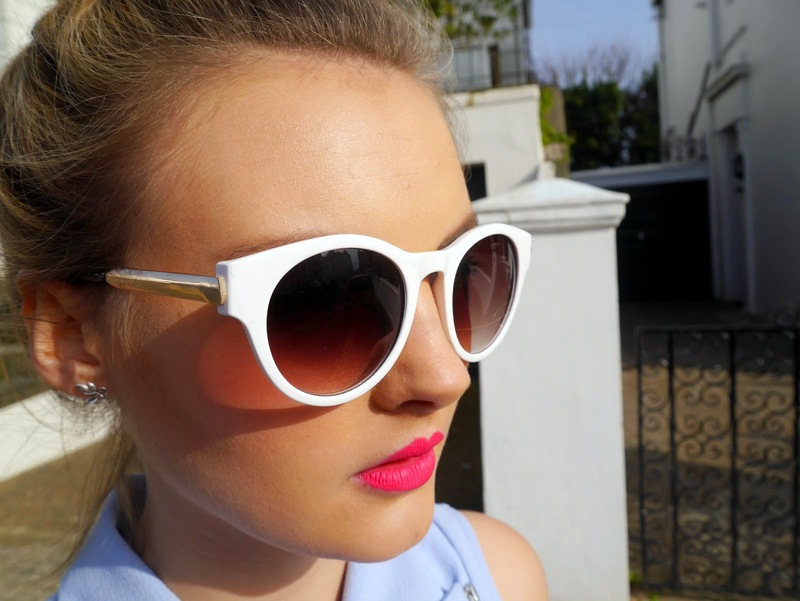 Oh, not forgetting the colour pop of a bright pink lipstick!